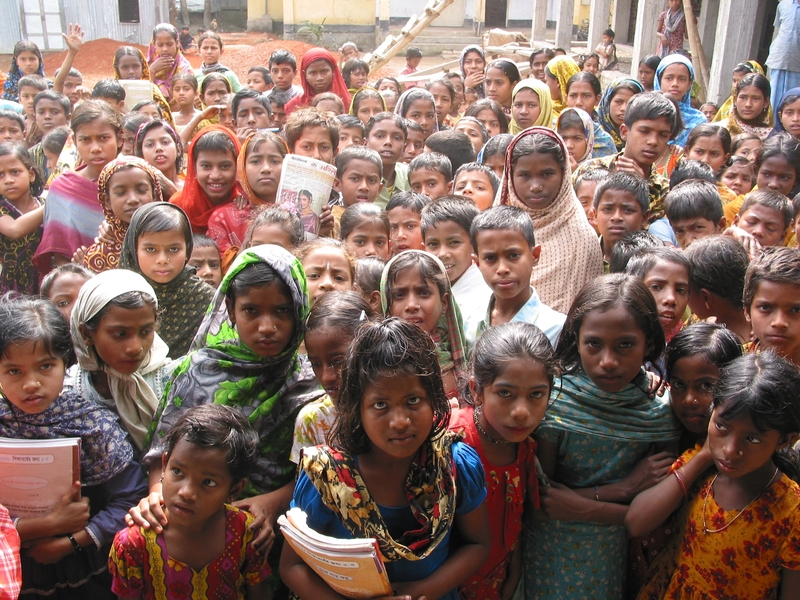 Over 60 million children of primary school age are not in school. Many more are attending irregularly, seriously over-age, and learning little. Most of these children are in Sub Saharan Africa and South Asia, many are those suffering disadvantage (household poverty, gendered discrimination, disability, compromised health, uncertain civil status, and membership of socially excluded groups. Access to basic education lies at the heart of development. Lack of educational access, and securely acquired knowledge and skill, is both a part of the definition of poverty, and a means for its diminution. Sustained access to meaningful learning that has utility is critical to long term improvements in productivity, the reduction of inter-generational cycles of poverty, demographic transition, preventive health care, the empowerment of women, and reductions in inequality. CREATE is a programme of research involving over 140 researchers in six leading institutions in Bangladesh, Ghana, India, South Africa and the UK. It is funded by DFID for £2.5 million. The research is Directed by Keith M Lewin of the Centre for International Education, University of Sussex. Its purpose is to increase knowledge and understanding of why less than half of all children complete primary schooling in low income countries and identify what actions of policy and practice would make a difference. The research has generated insights from large scale empirical work at community and school level involving over 18,000 households and over 100 schools, and from analysis of cross national data sets on particpation. These are complemented by smaller scale case studies and qualitative enquiries using a wide range of social science methods. Over 16,000 chioldren have been tracked for four years. Its research is designed to be directly relevant to policy dialogue directed towards accelerating progress towards universalising access to basic education in line with the Millenium Development Goals and the Dakar commitments to Education fro All. CREATE has produced an extensive portfolio of research products, supported a series of national and international policy dialogue events, contributed to sector reviews, and shaped bilateral and multilateral strategies to improve educational access. The research has generated a twelve-point development agenda that identifies actions to make the right to education a reality. The research products include 75 Research Monographs, eight Country Reviews, four special issues of refereed journals, 25 policy briefs, and six books. 22 Doctoral students are associated with CREATE. CREATE has published a synthesis of its findings. This synthesis was launched at the 2011 UKFIET Conference in New College, Oxford; UNICEF HQ in New York in September 2011, and Canberra, Australia in February 2012 at AUSAID. 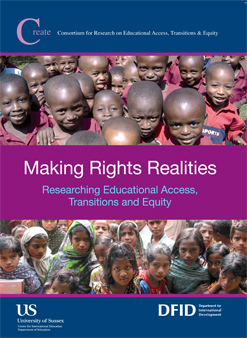 Lewin K. M., (2011) “Making Rights Realities: Researching Educational Access, Transitions and Equity” Researching Educational Access, Transitions and Equity. CREATE Synthetic Report. Centre for International Education, University of Sussex.